The other day I missed out on a good story. I was in Toronto dropping off a rental car at the airport. In the parking garage I saw two people getting their picture taken with the Stanley Cup. It was such a weird scene. A guy had pulled it out of a big trunk that was on the ground next to a white Suburban. A young couple grinned excitedly as the guy snapped their photo on a smartphone as I walked by. For a brief second, my inner child excitedly suggested that I ask to have my picture taken with it too. Unfortunately, Adultitis took over from there as questions flooded my mind. Is that really the Stanley Cup? I mean, what are the chances? If it’s a fake, you’ll look like a real idiot. You don’t even know the guy, and he looks like he knows those two people. Who are you to ask if you can get a picture with it? What if he says no? He’s probably really busy anyway; he won’t appreciate the intrusion. Besides, it’s none of your business and you have a plane to catch. In retrospect, all of those questions are pretty easily answered with a big “so what?” And as I dropped off the keys, I learned that the two people who got their picture taken were employees of the rental car company, which had a bunch of banners up proudly displaying their sponsorship with the NHL. I proceeded to the airport, frustrated that my iPhone was without a fresh snapshot of me and the Stanley Cup. To be fair, I am an introvert, which means it takes a little time to process things in my head before I can speak or act. It’s hard for me to be spontaneous, and the whole scenario unfolded over about 15 seconds. (Extroverts tend to have an easier time reacting quickly to new stimuli.) This quality is a real benefit when it keeps me from blurting out something I’d likely regret, but it stinks when it keeps me from a great story. But I don’t want to use that as a complete cop-out either. Because at its core, the thing that paralyzed me was fear, mostly of what other people might think. Now, I’ve made great strides in this department over the years, but it’s pretty rare to find someone who is completely immune to this condition. Trouble is, the more stock we put in what other people think, the more freedom we surrender. We miss out on the joy that comes from doing our own thing. We miss out on the fulfillment that comes from expanding our comfort zone. And sometimes, we miss out on the chance to add a cool scene to our story. 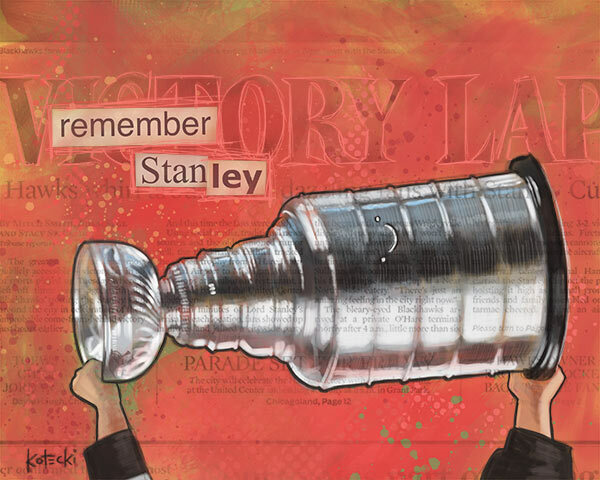 The good news is that any time I encounter another chance for a great story, I’m pretty sure “Remember Stanley!” will pop into my head, urging me to action. Now maybe it will for you, too. Anybody else out there who can relate to this? Share your story (or missed story) in the comments! Oh, only all the time. So… in some sense, it was kind of one of those things that was exciting because it’s not everyday that you get to eat a taco on the set of a television show that everybody knows… but since this was a work event, I felt like I had to hold back and stifle my excitement…. Play it cool because you know, this sort of thing happens everyday (though, it really doesn’t…) I would have loved to have run around and took many more photos, but I just didn’t because I didn’t want anyone to think that I was THAT girl. I love your story and message! I have been a true, strong introvert, but all my life have been struggling against that! Gettin’ over it a little at a time day by day! In fact, at work, I volunteered to play some rock guitar at a little gathering at work! I love rock, but it’s totally out of my comfort zone (I play guitar at church). I have two weeks to get “Wanted Dead or Alive” ready for my debut. I’m scared, but I’m loving playing this! By the way, did you know on YouTube, there are sites that teach you how to play songs on the guitar?